Our guest blogger this week is A. J. Grainger. A.J. lives in London, where she works as a children’s books editor. Her first novel, Captive, was named ‘One to Watch’ by The Bookseller and was listed as one of The Telegraph’s best YA books of 2015. It occurred to me recently that people might read my book. ‘Isn’t that why you wrote it?’ my friend asked when I told her. And for me, that’s the reason. Yes, writing is hard and it (occasionally) makes me cry. But I can’t not do it and so I want to be the best I can be at it. (Note the ‘I’, because this competition is only against myself.) As Henry Moore said, ‘The creative habit is like a drug. The particular obsession changes, but the excitement, the thrill of your creation lasts. But now whenever I get nervous about that, I come back to the above quotes. Then writing doesn’t feel so scary because I remember that I am just me in a room with a computer trying to do the best I can at something that is challenging and exhilarating at the same time. And I wouldn’t want to do anything else. To find out more about A. J. and her writing, find her on Twitter (@_AJGrainger) and Facebook. Her website is at www.AJGrainger.com. Thanks for stopping by A.J. to tell us about your writing. Captive looks a thrilling read. Definitely one to add to the ‘must read’ pile. 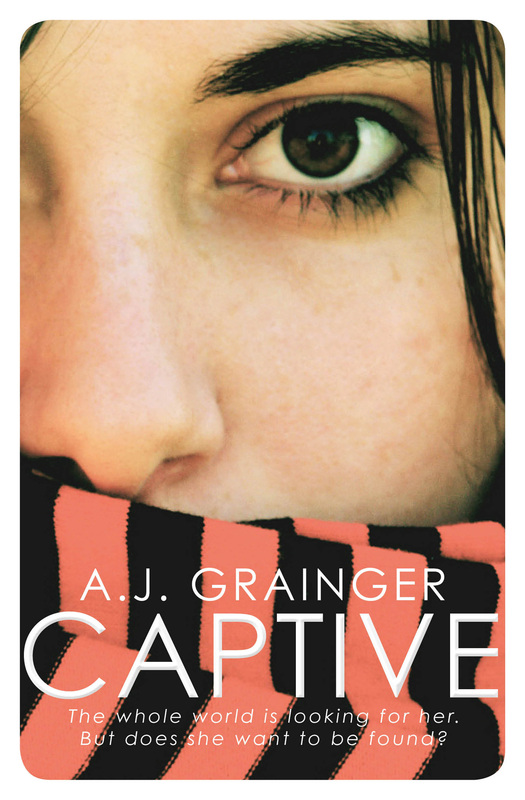 Better still, A.J and her publisher are giving away 3 copies of Captive here at GHB. Enter the giveaway right HERE. Previous post ← How many characters is too many?